PDF Shaper Free offers a variety of tools to help you create, process and manipulate PDF files. You can convert PDF files to various formats (TXT, RTF and images) and also convert images and DOC files to PDF to create a new... Offers to install promotional, third party software. 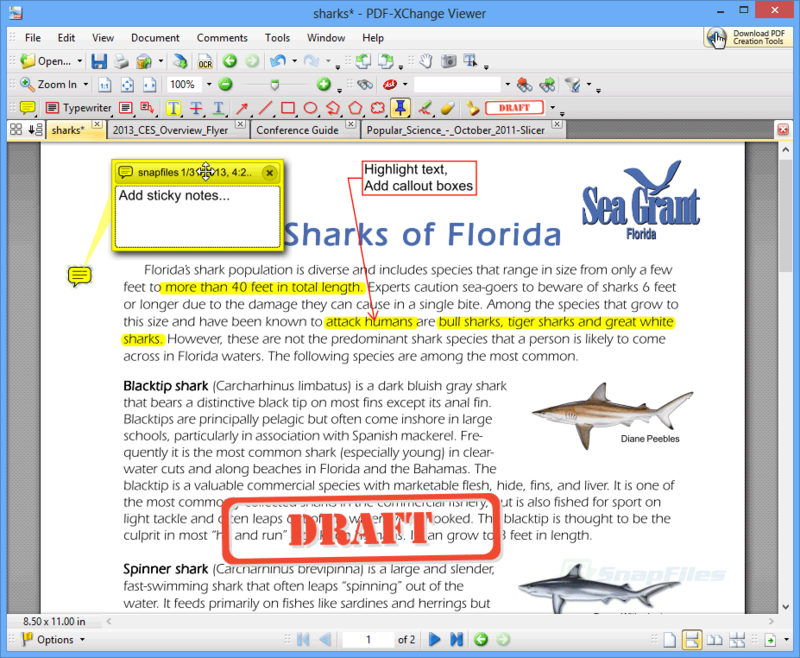 PDF-XChange Viewer is an alternative viewer for PDF files that enables you to view and annotate PDF files. You can add text, sticky notes, and other annotations and save them to the file, which will be compatible with the... Offers to install promotional, third party software. PDF Page Resizer is a simple application that you resize the pages in a PDF document to a different size for printing or other uses. You can select from several standard page sizes (Letter, A4, Postcard etc.) and also set your... Offers to install promotional, third party software. Hexonic ImageToPDF allows you to easily convert JPEG, TIFF, Multipage-TIFF, BMP, PNG and GIF images to PDF documents. You can output each image as individual PDF file or combine multiple images into one file with control over... Offers to install promotional, third party software. Hexonic ScanToPDF enables you to import documents or images from your scanner and convert them to PDF format. You can import multiple scans and either combines them into a single PDF file or output each page as individual... Offers to install promotional, third party software. Hexonic PDF Split and Merge allows you to easily merge multiple PDF files into a single PDF document. You can choose to merge all pages or only a selected page range from each document. In addition to merging files, the... Offers to install promotional, third party software. PrimoPDF allows you to create PDF files from any printable document (.doc, images, text, web pages etc.). It installs as a virtual printer and is accessible from any program that offers a Print option, or you can simple... Offers to install promotional, third party software. Looking for more choices? There are 21 more downloads in our PDF Tools (Shareware) category.